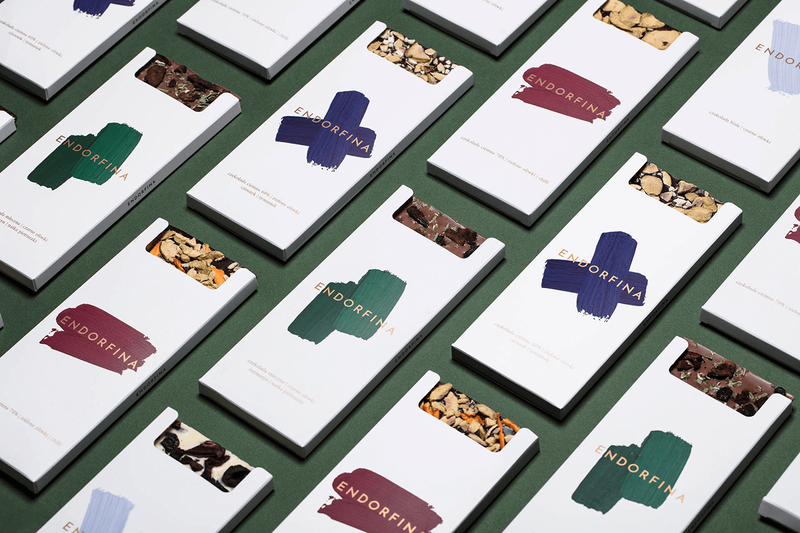 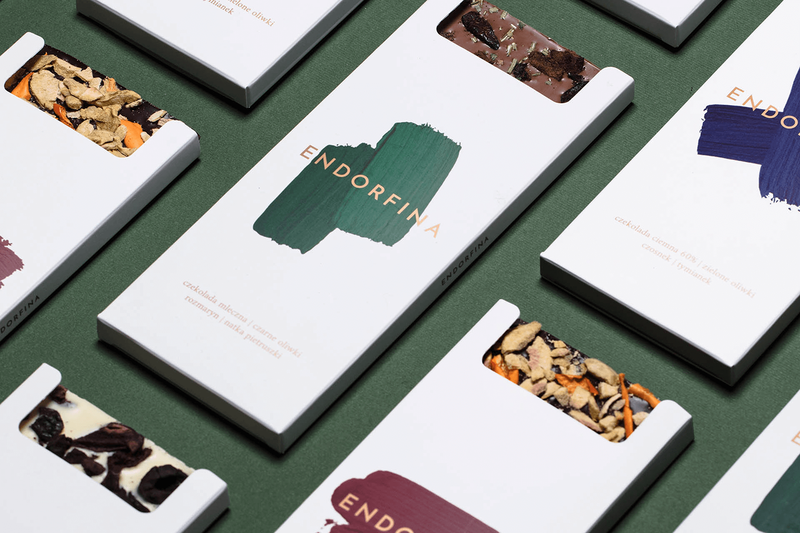 Endorfina is a packaging design, branding and graphic design project shared by Łobzowska Studio on their Behance profile. 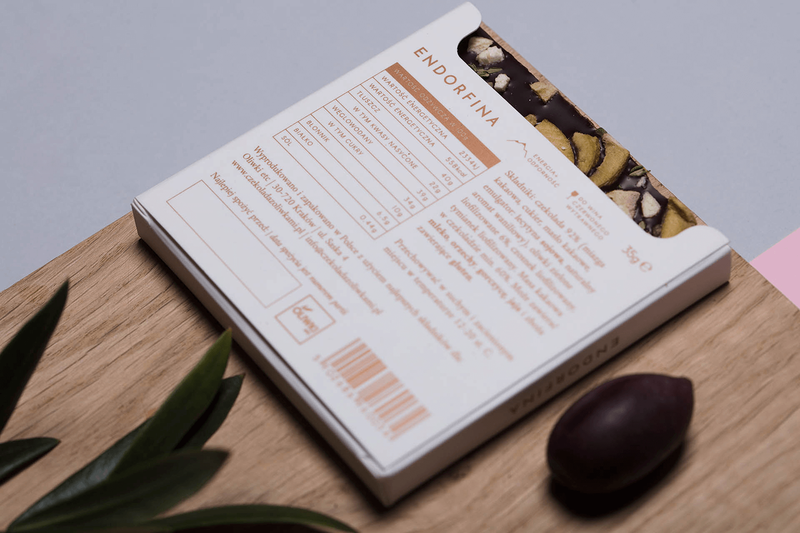 There are a lot of things to highlight about this beautiful project but I will try to focus my comments on the visual design. 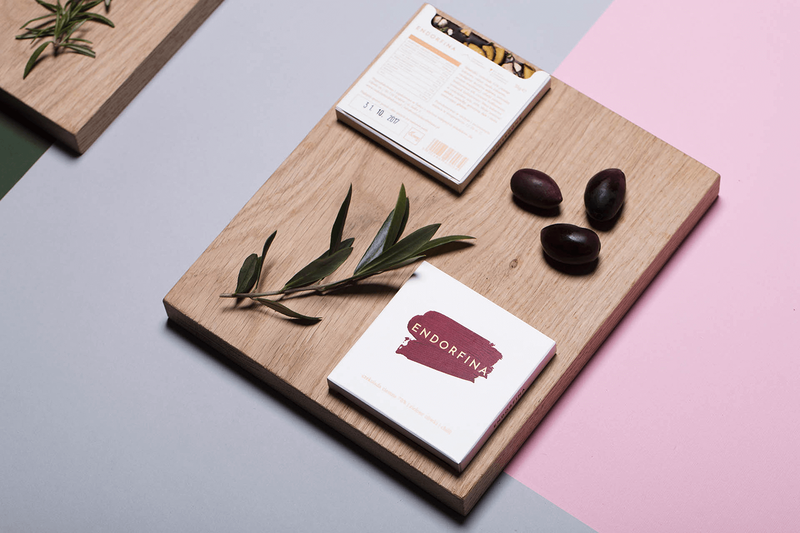 The mix of paint brush texture with simple typography against it is quite elegant. 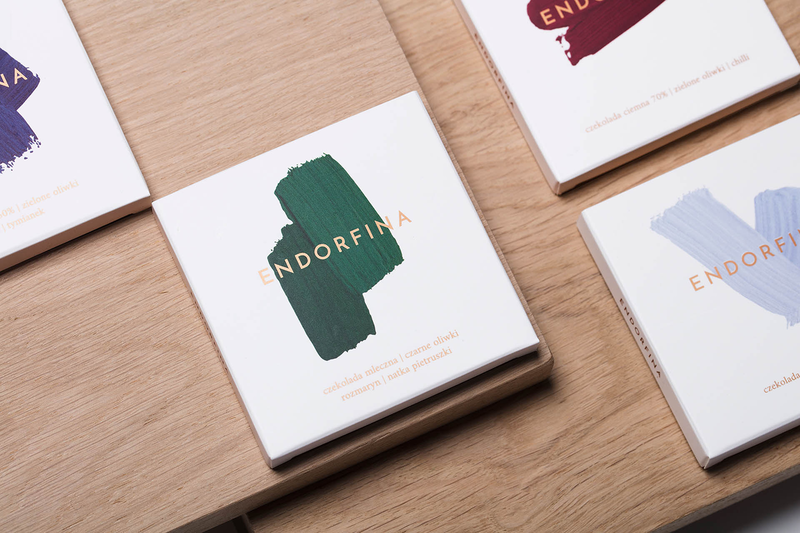 The font looks like to be Futura and it works quite elegantly in this context, especially because the brush strokes really add a lot depth to the design. 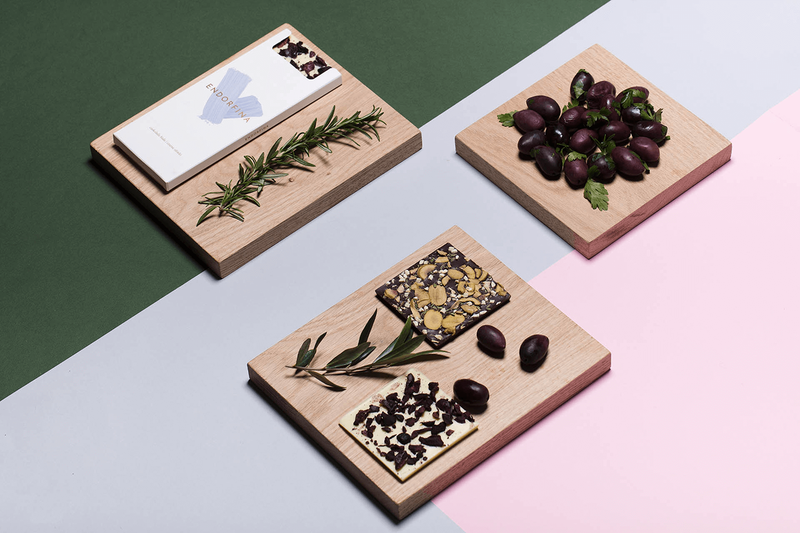 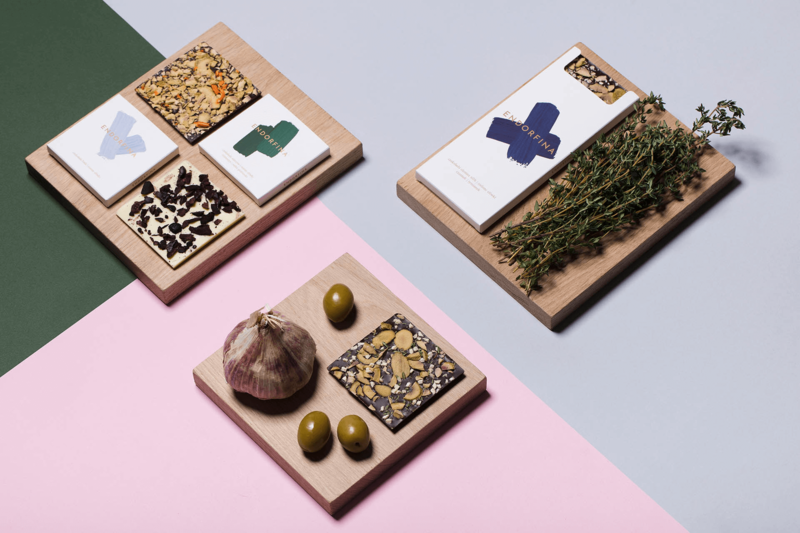 The package was designed for chocolate with olives and herbs, quite a mix I had to say but visually they definitely look delicious.